Married At First Sight Stars Dan and Jess receive death threats from fans. Dan and Jess, the Married At First Sight stars, recently claimed that they’ve received death threats following the case of their cheating scandal. In an explosive episode last night, the pair came clean about the extra-marital relationship they have been indulging in. In fact, the show was the highest rated “normal episode” among all six seasons, with 1.68 million viewers. The confession of two of the stars left their partners Mick and Tamara shattered and in tears. To add up, the loyal fanbase of the show were quite outraged by the revelation and bashed the couple on social media. 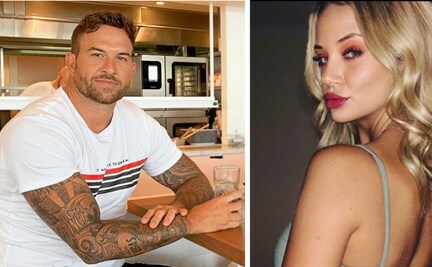 Dan and Jess opened up about the direct messages they received following the confession through a series of radio and TV interviews on the morning of March 25. “We’re copping it, People are like, ‘I hope you get a noose and hang it around your neck and video it, you’re a disgrace.’"
Jess told the Nova duo she regrets that their respective partners of the show, Mick and Tamara got hurt. But the star seemed pretty sure that she made the right decision to pursue a romance with Dan. Jess maintained that she’s “disgusted” by the way she behaved at the show adding that her family isn't psyched about it either, during an interview on Today Extra. “I watch myself on there and I think, ‘What a wanker!’ But I can’t complain because obviously, I went in there looking for love”. Previous contestants of the show also took it upon themselves to comment about the issue. For instance, Married At First Sight’s Jules took to Instagram during last night’s episode taking a firm stand against Dan and Jess’s behavior. “For the record. Cam and I DONT CONDONE the cheating, the lies. The depth of deceit. We had no idea of everything that was going on." “We can understand that the experiment is an experiment and some people aren’t suited and didn’t match. And may suit someone else. But the way you go about is being honest. Open. And not hurting and using people. And if your going to do it. You do it when it’s 120%." Fans also took to social media platforms to let out their thoughts on the scandalous revelation that has changed the course of the show as it nears season finale. Tamara, Dan's partner in the show, broke down in tears during last night’s episode when the revelation broke through to her. She told the radio duo that she wasn’t upset because she of the heartbreak her husband caused her but rather because she expected much more respect from him. The revelation of the cheating came as a shock to many and is unacceptable to fans, contestants and previous alums alike. However, death threats seem quite extreme for a reality show scandal.